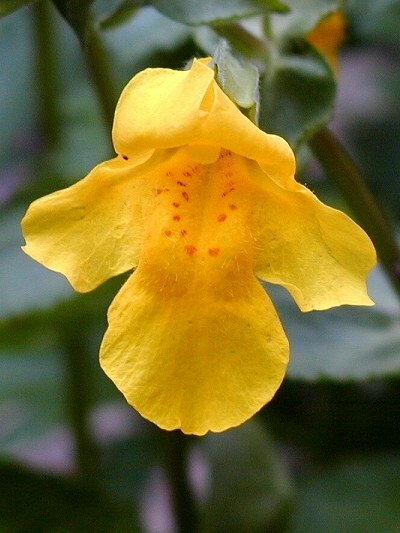 Description: Mimulus (Common Large Monkey-flower) is a yellow bee-pollinated wildflower that originally grows along the banks of streams and seeps in North America. This perennial plant can reach a height of 20 inches has a fleshy stem. The large, shining yellow flowers have five petals that grow together. It blooms between July and August.